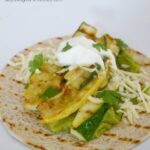 These summer squash tacos are prepared on the grill! 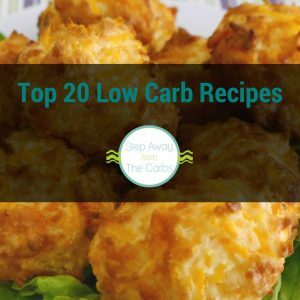 A wonderful low carb vegetarian appetizer or light lunch recipe. I remember clearly when I started this low carb diet that the idea of someone being a vegetarian and following this way of eating was ridiculous. Wasn’t it all about MEAT?!? But the more I chat with readers, the more I realize that of course vegetarians can eat this way. My husband has a friend who is a vegetarian who doesn’t eat cheese – and this always caused me problems when it came to cooking a meal we could all eat. 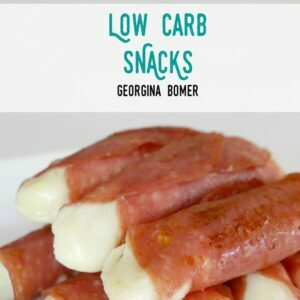 Actually, I usually made fajitas – he could add everything but the meat and cheese, and I could substitute regular tortillas for low carb ones for me. 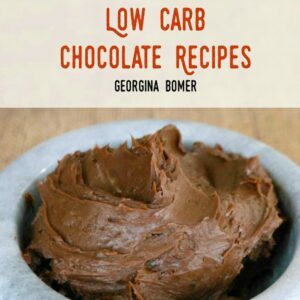 This recipe would be awesome for him – he’d just have to omit the sprinkling of cheese! 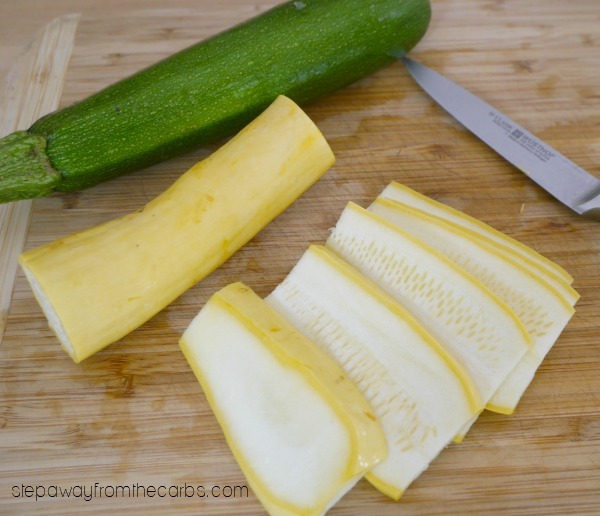 Prepare the squash by slicing them in half lengthways, then slicing off two opposite edges. Then cut the squash into slices. 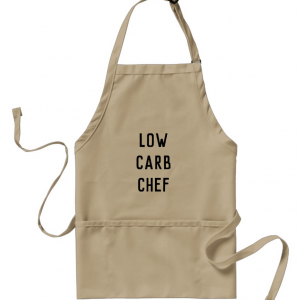 I’ve used one zucchini and one yellow squash here – but use whichever combination you like! If you like, you can cut those slices in half again – they’ll be easier to eat if you do, but it means more pieces to turn when you’re grilling! However you choose to prepare them, season the slices with salt and pepper, then cook them on the grill (of course you could use a grill pan instead but outdoor grilling is always better!). If you have space on the grill, add four small low carb tortillas and toast them for a few minutes before removing and setting aside. 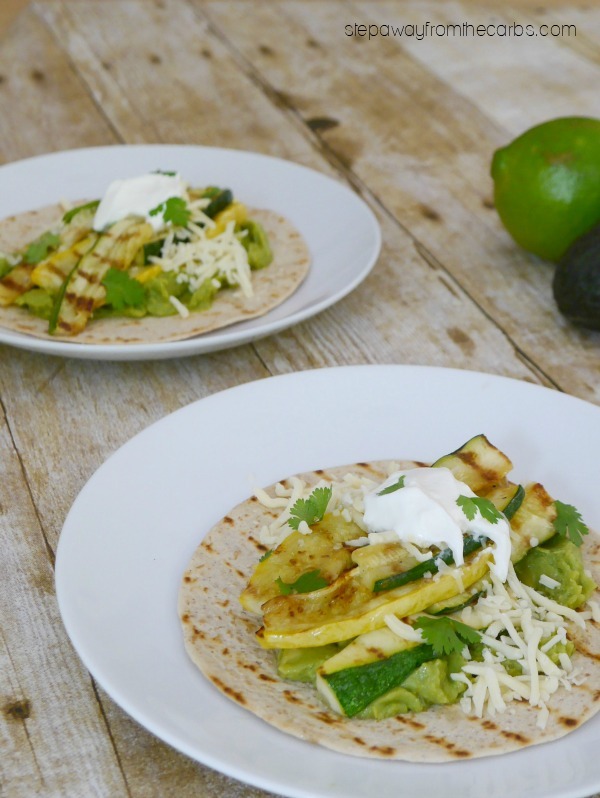 While you’re waiting for the squash to cook, spread each toasted tortilla with some guacamole. 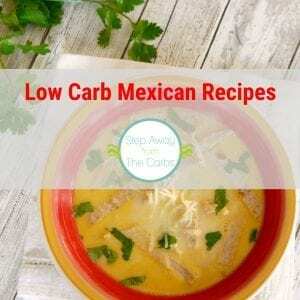 You could use store bought or make your own (try my Easy Creamy Guacamole! ), or you could even just smash an avocado and divide it between the tortillas! Top the guacamole with the cooked vegetables, then sprinkle over some shredded cheese. Add a dollop of sour cream and a sprinkle of fresh cilantro, and serve! Of course, you could always just provide your guests with the tortilla and let them assemble their taco themselves! 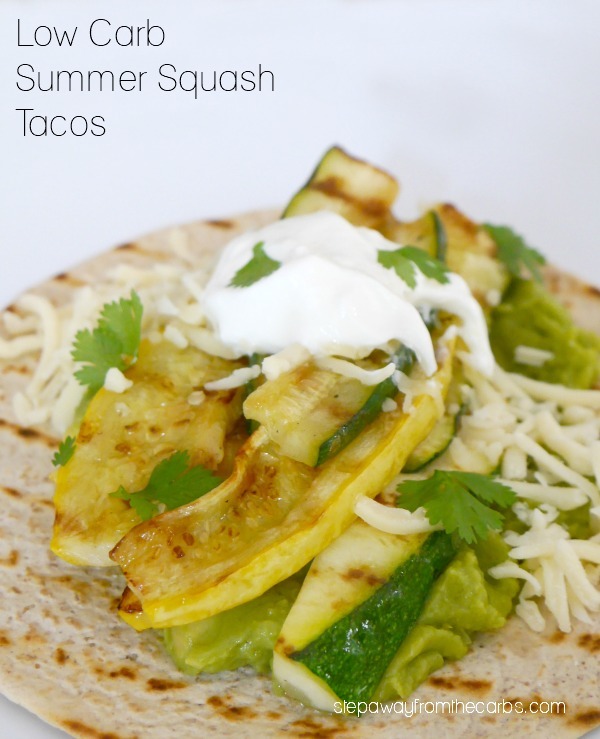 Serve these summer squash tacos as an appetizer or light lunch. 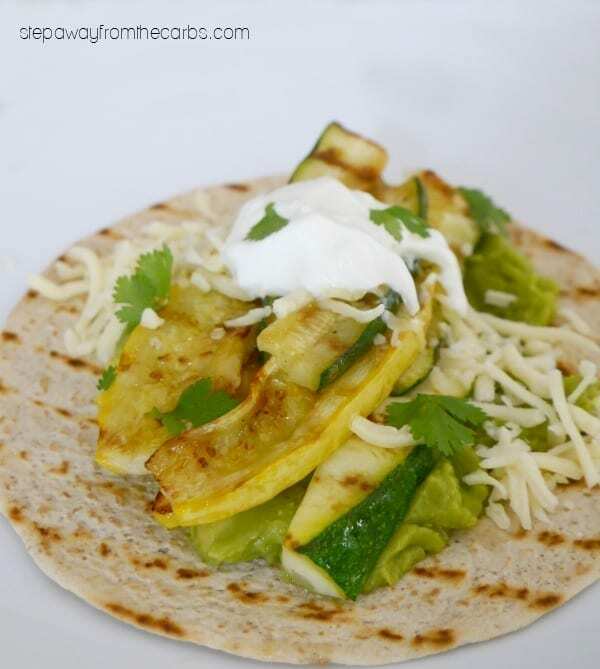 Grilled summer squash works perfectly in these low carb vegetarian tacos! Prepare the squash by slicing them in half lengthways, then slicing off two opposite edges. Then cut the squash into slices. Season the slices with salt and pepper, then cook them on the grill. Place the tortillas on the grill and toast them for a few minutes before removing and setting aside. Spread each toasted tortilla with the guacamole. Top the guacamole with the cooked vegetables, then sprinkle over some shredded cheese. Add a dollop of sour cream and a sprinkle of fresh cilantro, and serve!